What is an Efficient Solar Panel? Is My Electricity Supply Now Green? Americans like solar energy—so much so that every 2.5 minutes, a home or business installs a new solar panel. In fact, solar is now the fastest growing choice to generate electricity in the United States. You’ve probably spotted solar panels on roofs. Maybe you’ve seen them mounted along highways or next to swimming pools. The sun shines abundantly, creating an easy to capture, clean, and safe type of renewable energy. Solar panels, made of silicon cells, turn sunlight into electricity. When sunlight hits the panel’s cells, electrons within begin to move, creating electricity. Metal conductors on the cell gather the electricity and transfer it to wires. Your solar inverter then takes the direct current electricity produced in the panel, and creates alternating current electricity, which is what powers your household. Your utility meter will track how much solar electricity your home produces. The more electricity your panels generate, the less electricity you will need to buy from your utility. And you may have wondered: How do solar panels work? First, let’s talk about how electricity is traditionally made in order to answer the question “how do solar panels work?” Generating electricity requires fuel. And many fuels used for power production can create serious environmental harm. The damage comes from both how we extract and use the fuels. Conventional power plants use coal for fuel, which is dug from mountains. They use natural gas, which is forced to the earth’s surface and transported via long pipelines, which can explode (Yes, it’s rare. But it’s happened). For nuclear power, uranium is unearthed from mines. Clearly, it’s a labor intensive and sometimes destructive process to obtain and deliver fuels used in electricity production. The harm continues as the fuel is employed to produce electricity. The fossil fuels—coal and natural gas—undergo a combustion process that produces air pollutants. Nuclear power presents the risk of radioactive leaks. Solar, on the other hand, uses a very different kind of fuel: sunlight. No mining is involved, no big pipelines, and no moving of the earth—just sunlight pouring from the sky. It’s abundant, easy to capture, safe, and clean. The sun is an infinite resource, which is why solar power is often described as renewable energy. You may have heard solar energy also referred to as photovoltaics or PV, which describes to the way solar panels convert sunlight into electricity. Photons are particles of light. Voltaics refer to voltage or electricity. Converting sunlight into electricity requires use of certain materials. It’s a relatively simple chemical process, which we’ll talk about next. The process of making electricity begins when sunlight travels at the speed of light about 93 million miles from the sun and falls on the solar panel. The panel is likely located on a sunny roof or perhaps ground-mounted in a yard or nearby field. It’s probably wired together with other solar panels. Multiple panels together are called a solar array. What is a solar panel exactly? Also called a module, it’s typically a four-cornered, plate-like structure made up of silicon cells, a form of semiconductor. The cells contain electrons. Certain substances are applied to the cells (such as phosphorous and boron) to create a magnetic field. Some of the cells have a positive charge and some a negative charge. 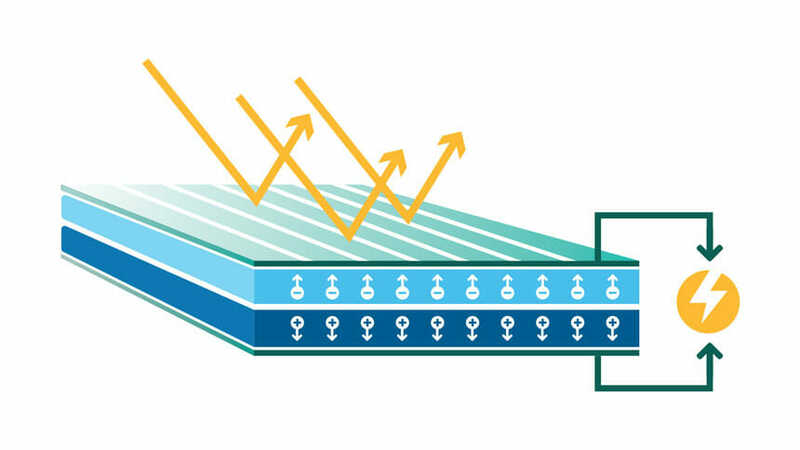 When the sunlight shines on the cells, it destabilizes the electrons, freeing the negatively-charged electrons to flow to one side of the silicon cell. The movement produces a flow, or current of electricity. Metal conductors on the cell gather the electricity and transfer it to wires. The solar energy isn’t quite ready for home use yet because solar panels create a kind of electricity that’s not compatible with the US electric system. Called direct current or DC electricity, it’s power that flows in one direction. American homes rely on another form of electricity, called alternating current, or AC electricity. It’s different from DC electricity in that it can flow in more than one direction. The US electric grid—which your home is connected to—runs on AC electricity. The US chose this form because AC tends to be efficient for electricity that travels long distances, as is often the case in North America, where the power moves over a huge grid. It includes 450,000 miles of high voltage transmission wire connected to 3,200 electric utilities. How do we make the DC electricity produced by your solar panels into AC electricity that the U.S. grid likes? That’s where a solar inverter comes into play. Also sometimes known as a solar converter, this is a rather uninteresting looking metal box that might be placed in your house somewhere near your fuse box. Despite its bland appearance, the box plays a major role in allowing our use of solar energy. Think of it as the translator between your solar panels and your house. Not only do its coils, wires, and magnets “invert” the energy from DC to AC so that it becomes usable to the household, but the inverter also helps with certain energy management functions. Some inverters have the ability to “island” or separate the home from the central grid when a blackout occurs. The inverter also may include a small amount of battery power, so that the house still receives some electricity in case a power outage occurs. New inverters are sometimes called the smarts behind solar energy installation because they undertake energy management and communications functions that make your solar energy more efficient. It’s important to note that a variation exists on the conventional inverter. This is the micro-inverter. Rather than being housed in a box, micro-inverters are placed directly underneath the solar panels. When you purchase solar panels, you should be aware that not all solar panels operate with equal efficiency. What exactly is an efficient solar panel? Efficiency is determined based on how much of the sunlight reaching the panel actually converts to electricity. The more efficient your solar panels, the fewer you need to use. Solar panel efficiency is especially important if your roof space is limited or partially shaded. Price is not necessarily a factor in seeking out efficiency. What you save in buying fewer panels, you may lose by paying more for the efficient models. Another important component of your system is your utility meter. It will track how much solar electricity your home produces. The more electricity your panels generate, the less electricity you will need to buy from your utility—and the lower your utility bills will be. If you live in an area where “net metering” is available, you can save even more money. Net metering is a term for utility programs that give you a bill credit for any extra electricity that your system produces. This excess power flows back to the central grid, where it can be used by others. The amount of credit you get depends on your utility’s particular policies. Like inverters, meters are getting smarter, and are now able to accomplish more. 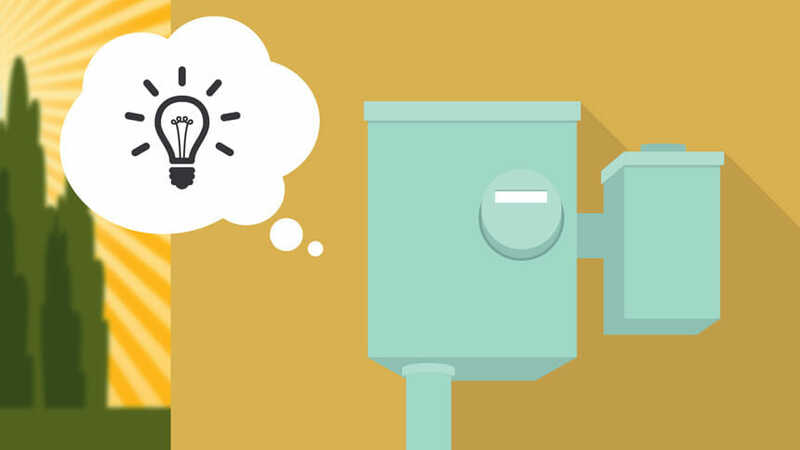 Smart meters open the door to give consumers the ability to better control their energy costs. Most people don’t realize this, but utility electricity prices change many times during the day, much like the stock market. Consumers are unware of these price shifts because they don’t buy power from the wholesale power market; instead they pay retail rates regulated by their state. But with the help of smart meters and what’s known as time-of-use or time varying rates, consumers can take advantage of the fluctuations—and realize the savings on their utility bills. Using a stock market analogy, think of it as buying a security when prices are low. For example, you can do your laundry, run your dishwasher, and undertake other energy intensive activities during the times of day when electricity prices are low. When electricity prices are high, you’ll turn up your air conditioning or down your electric heat. New web-based or digital monitors display the prices as they change. Your smart meter will record your spending and you’ll be billed accordingly. Some homeowners with solar panels and batteries are even more sophisticated in their use of time varying rates. They might rely on solar energy or their battery power when utility electricity prices are high and grid electricity when it is low. Remember, unlike utility electricity, your solar energy price never changes. It’s always free—sunlight as a fuel costs nothing. 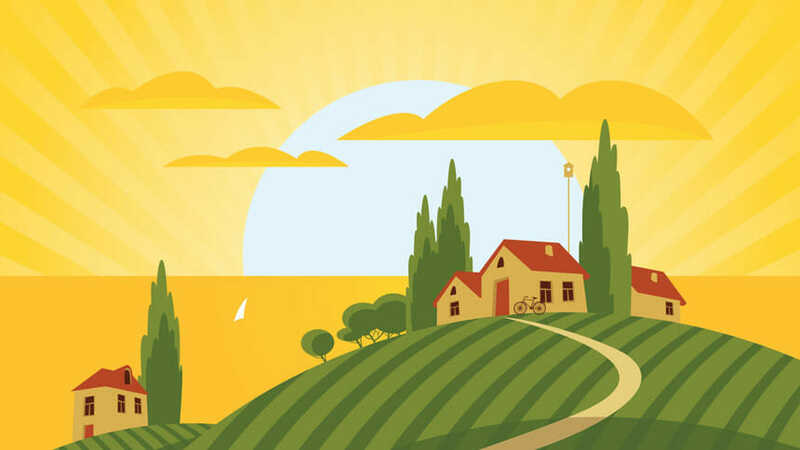 Using a free fuel, sunlight, is just one cost advantage of solar energy. Another is that rooftop PV is on-site energy. You produce energy at your home. It does not need to travel long distances to get to your house. This is especially significant when you take into account what is known in industry terms as “line loss.” Put simply, line loss is the natural dissipation of a certain amount of electricity whenever it is sent over a transmission or distribution wire. Line loss is a costly inefficiency associated with grid power. The electricity is made at a large central power plant and then must often travel many miles over wires before reaching the homes and businesses that will use it. Because we lose a certain amount of electricity, we must build more power plants and other energy infrastructures to make up the difference. That’s a big expense to society. So your solar panel is installed, your inverter is working, and your smart meter is helping you use electricity wisely. You’ve plugged in your toaster and are buttering your toast. Are you officially off-grid now? Sorry, but no. Most American homes with solar panels remain connected to the central grid. This is both good and bad. It’s good because when the sun isn’t shining, you can rely on utility power. It’s a bad thing because if there is a blackout on the utility grid, your solar panels cease to work, too. Unfortunately, homeowners aren’t always aware of this. Then when a storm knocks out utility power, they are astonished to discover they are left in the dark along with everyone else on the grid. There is a way to avoid this, however. Homeowners are increasingly turning to what is known as solar plus storage or home microgrids. These systems include battery banks that provide back-up power. So when the utility grid goes down, your house still has power. These systems are growing in popularity as both solar panels and batteries drop in price. Yes and no. As mentioned above, your home is likely still connected to the utility grid, and it’s probably supplying some of your power. Nationwide, about 39 percent of grid power comes from fossil fuels and another 19 percent from nuclear. Renewable energy makes up only about 13 percent of our power supply. If you’re using utility power, your electricity supply isn’t entirely green. By adding solar panels to your house, you have significantly cut back on your use of dirty energy and increased your use of green energy. Furthermore, you’ve reduced your demand for utility power. The more people who do this, the less we will need to construct and operate large power plants that can harm our earth, our air, and our health.